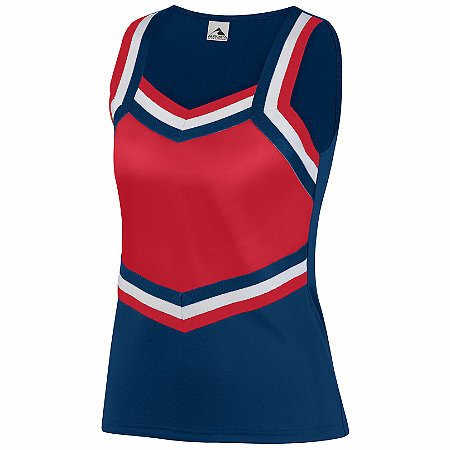 Great top design, made of 90% polyester/10% spandex knit, 100% polyester doubleknit contrasting front panel. Fabric is odor resistant and wicks moisture away from the body. Three color trim. If we are going to letter your cheer uniforms, we are happy to bag and label them for each girl. Just email us a list of each cheerleader and her sizes and we'll take care of it!